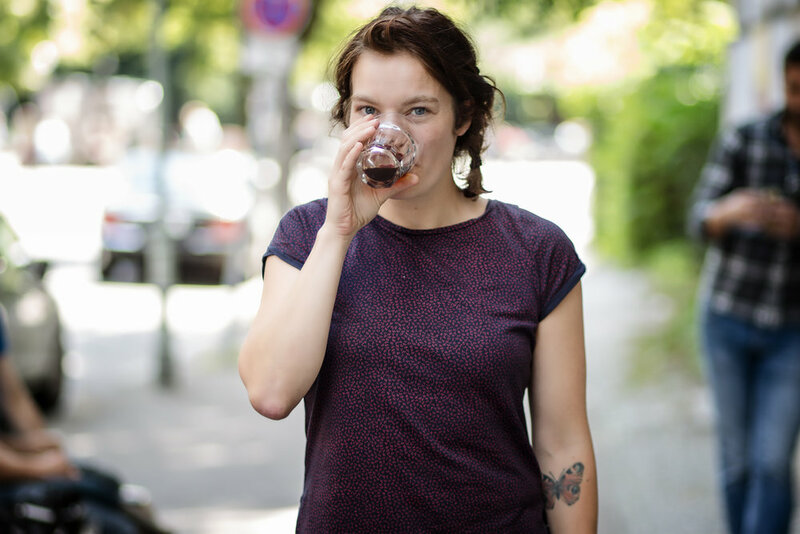 Karo is a barista and senior editor from the Czech Republic who has been living in Berlin for 2 years. 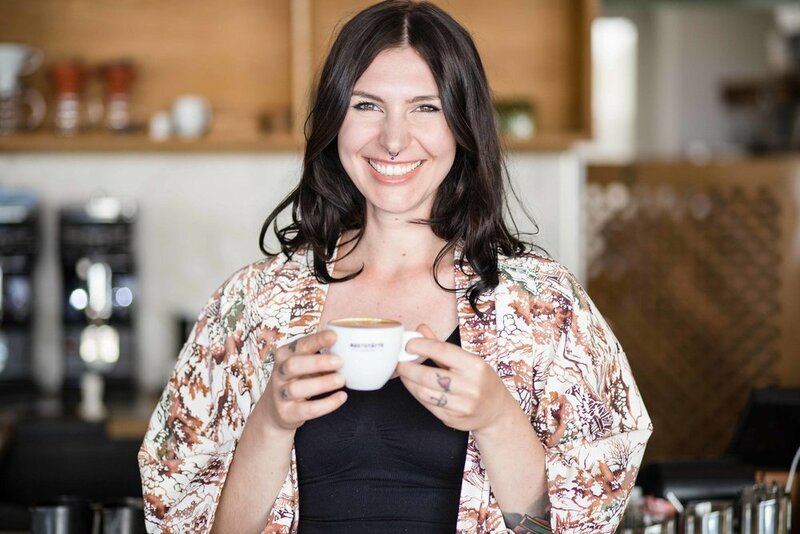 She won the 2016 Brewers Cup in her home country after competing twice before in coffee competitions. 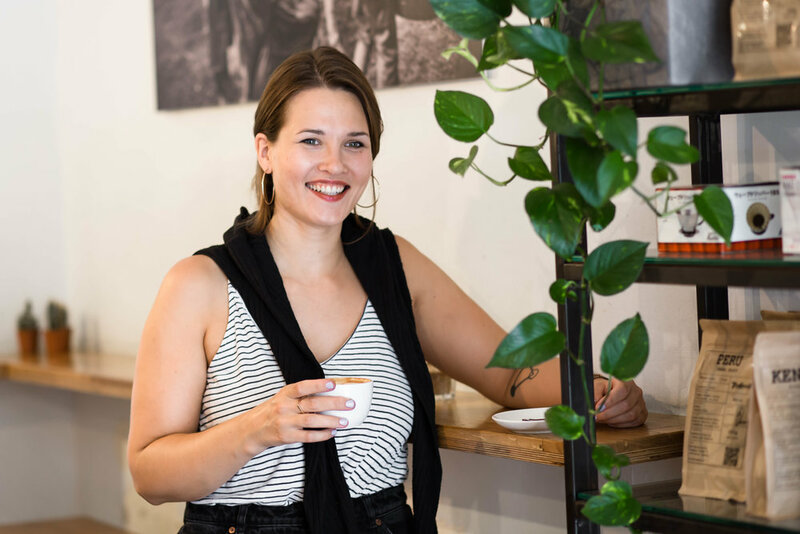 Read about her lessons learned and her thoughts about Berlin’s specialty coffee scene. 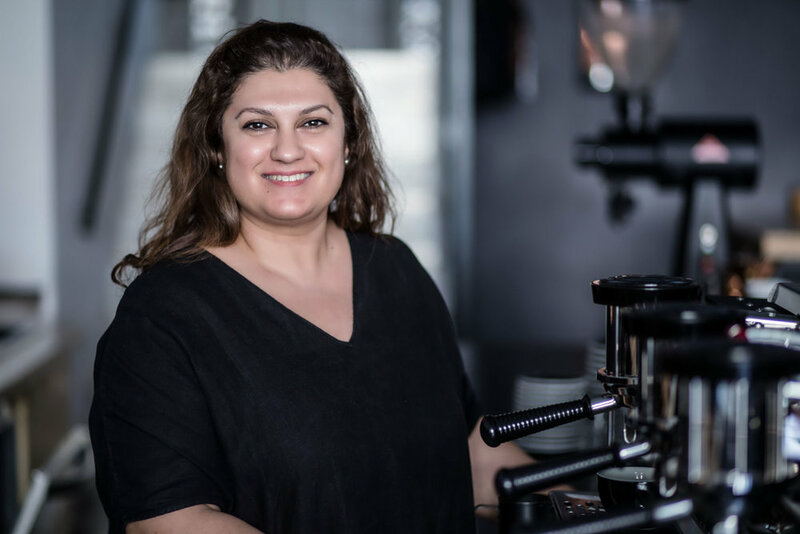 Karo, what triggered your career in coffee? I got into coffee through working in hospitality. My friend Adam Neubauer (2 times Czech barista champion), used to be my colleague in a café in the Czech Republic that was all about fluffy cappuccinos with chocolate on top. When he started reading books about coffee and doing things a bit differently, I was intrigued. This is how I got more interested in coffee. I like to get better at things and coffee allows you to improve by practice. You just have to do it again and again. At some point I moved to London to dive deeper into the coffee scene there and ended up staying for two years. What I liked best was the contact with the customers. It is what gives me energy. It can also put you down at times but I think customer service was always the most enjoyable part of it for me. As barista at Tres Cabezas here in Berlin and senior editor at European Coffee Trip you get a good overview of local coffee scenes. How would you describe the third wave movement in Berlin as compared to other places you’ve been to? I think Berlin has a long history with coffee for sure and I can’t really judge how it developed before I lived here, but I remember there was a firm circle of specialty coffee shops such as Chapter One, The Barn and Bonanza, when I first came here as a tourist. Within a year of me living here there were already 15 or so more and now it must be around 50. At first the scene seemed a little bit too sure of itself because there was not much competition (maybe it felt like this because I was coming from London), but in a short amount of time it got so much better than what I thought was possible. The competition definitely grew and pioneers noticed the change and grew with it. There is a clear influence from foreigners who are moving here and open coffee shops. Every café is so distinct too. There is one run by refugees, another is run by one single person, there are coffee shops in fashion stores, others sell coffee out of a VW bus or sell cold brew from a basement, and so on. Berlin has a lot of room for experimentation and quality coffee is becoming more and more available outside of the stereotypical Aussie café. What’s pushing the scene forward for sure is the increasing competition. Berlin is a start-up city, there is space and it is welcoming creativity, which is awesome. In London, for example, it would be so much more expensive to start a business. In Berlin people experiment just because they want to bring something to the table, and it is affordable to do so. My prediction is that the third wave in Berlin isn’t stopping anytime soon. You’ve just participated in the event Barista Connect. How was it? It was amazing! It was such a wonderful event because of its size, there were maybe 40 of us, and I met new faces from all over the world. Very diverse coffee professionals attended and the event managed to make a connection to all areas of coffee and all professions - from coffee roasters to producers, growers, trainers, baristas and managers of cafés. Barista Connect provided a platform allowing us to learn from one another. Although everyone had a different background, we shared common experiences. It is more about the atmosphere and the energy that is present there. As we were all women, apart from one guy, the event didn’t feel like the usual ones I attend where everyone needs to prove a point. It was more like a friendly discussion of ideas and viewpoints. There were no boundaries to what people talked about, what they asked and what their ideas and opinions were. No one cut each other short for example. It was like girls chatting over a cup of coffee. I don’t think I ever had been confronted that much with ‘men rule it all’ but it is more about the perception I guess. I felt like it was very easy to discuss in a friendly manner without anyone making you feel stupid. No judging, no comparing, because no one gives you that sense of doubt. I didn’t have it at least. You’ve also participated in coffee competitions. Can you tell us about your experience? In 2016 I won the Czech Brewers Cup. The year before that I came in 4th in the Czech Barista Championship, a competition I had participated in already 2013. When I competed for the second time I was living in London, I wanted to progress and the competition felt like a great opportunity to do so. I realized too late that it was all about feedback and criticism from friends and supporters. Instead, I did the preparation completely on my own. When the time came I packed my suitcase and flew to the Czech Republic without a team coming with me. I didn’t even know it was appropriate to ask for help and that a team effort was behind it. When I won the 2016 Brewers Cup I had learned from my previous experience and came with support from Bara and Five Elephant. I can’t even imagine now doing it on my own. During the competition you forget the small details, like polishing your glasses, and your team will remind you of exactly those. During the world championship I was again pretty much on my own and can only say that it is not good to compete without support. From my perspective, people I see who are very successful are cooperative, seek feedback and structure as well as constructive criticism. Has your career changed since winning the Czech Brewers Cup in 2016? I got more followers on Instagram! ;-) I haven’t really taken that direction, I haven’t reached for better positions or anything like that. I do feel more confident talking about coffee though. The title supports your word, it’s like a proof of skills or something. I guess it did have a positive effect of how people perceive me, but I wouldn’t brag about it in order to gain credibility. I am working full time for European Coffee Trip and it is going really well, even though everything I do is trial and error. My plan is to become a better editor. As much as I love coffee and serving people, I think I’ve finally found what I’m good at, which is why I would like to work as a writer only. I have a good way of expressing things on paper. For the future I would love to contribute to publishing a book and combine it with traveling and discovering new places. This year I am also competing at the German Aeropress Championship to improve in something I am not so good at. But I actually enjoy the challenge much more than I enjoy winning. Thank you so much Karo! Keeping my fingers crossed for the Aeropress Championship!